It's the 1930s, we're in Phoenix, Arizona, and I'm getting hungry for some lunch. Let's go over to the Annex Hotel! 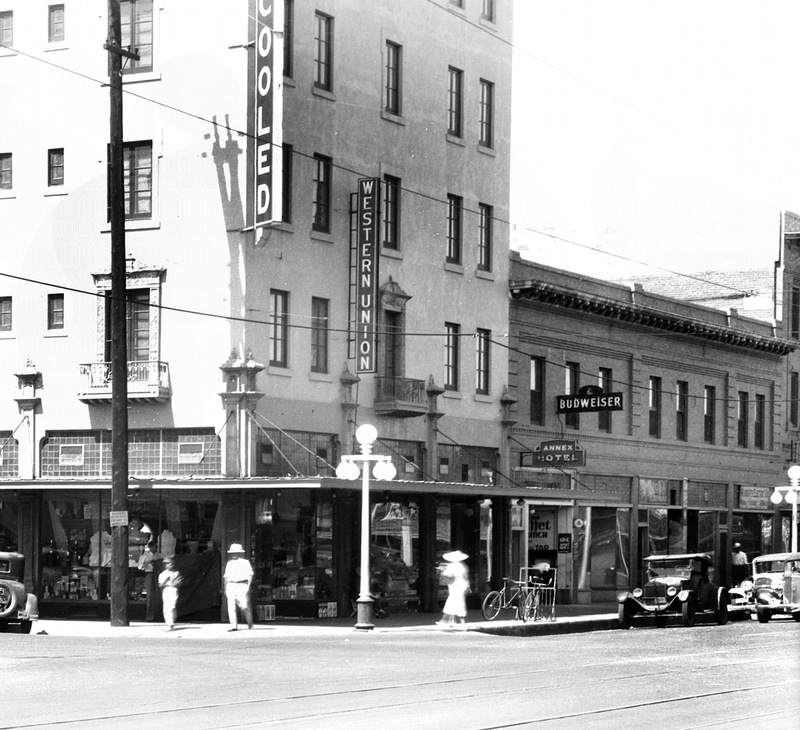 It's next to the Arizona Hotel, which is on the southwest corner of Washington and 3rd Avenue. 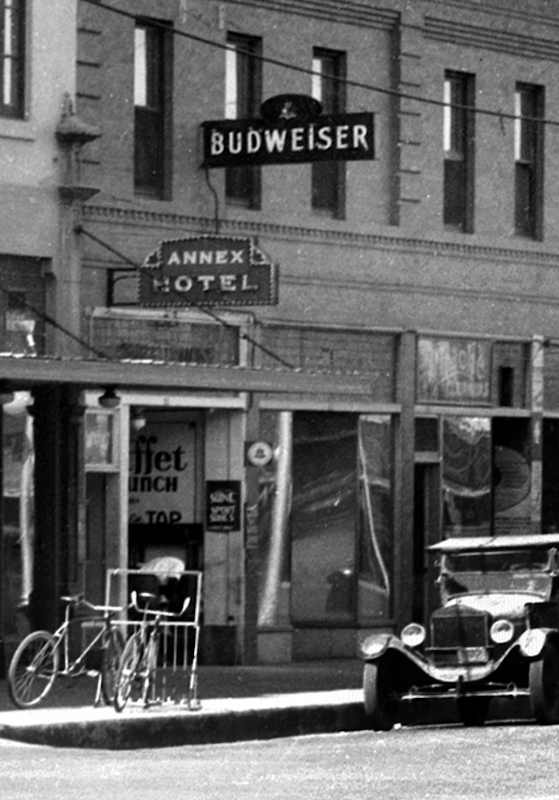 To find the Annex Hotel, you just look for the Budweiser sign. I know what you're thinking, how strange it is that alcohol is no longer illegal, and that there are signs up, and you can drink a beer with your lunch. Arizona made alcohol illegal in 1916, and it's been illegal for the entire country since 1920, when the Volstead Act was passed. But it was repealed in 1933, so it's OK now, we don't need to sneak around to "Blind Pigs" or "Speakeasys" anymore. We can just walk right into the Annex Hotel, and order a beer along with our buffet lunch. Here we are. We can park our bikes right there in front in the rack. What? Locks? Are you kidding? No one is going to steal our bikes! Mmmmm... something smells good in there - I don't know about you, but I could go for a chop. You go get in line at the buffet, I'll go into the bar and get our beers. Budweiser OK with you? Yes, it's going to taste great. Can you lend me a nickel? Thank you for having a buffet lunch and beer with me! 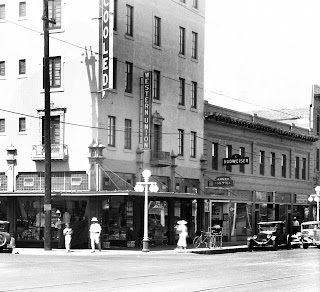 Image at the top of this post: The southwest corner of 3rd Avenue and Washington in the 1930s, Phoenix, Arizona.